Not too long ago, Nintendo vowed to never make mobile free to play games. Their own hardware is too important, the “Nintendo-factor” incompatible with free to play games. First they yielded on hardware, with the release of Mario and then on free to play through collaborating with Niantic, creating the superhit Pokemon Go. A patchy success history followed, with some projects like Fire Emblem Heroes becoming hits, and others, like Pokemon Quest and Animal Crossing (read: Animal Crossing Pocket Camp - Can an Old Dog Learn New Tricks? ), opportunities to learn. 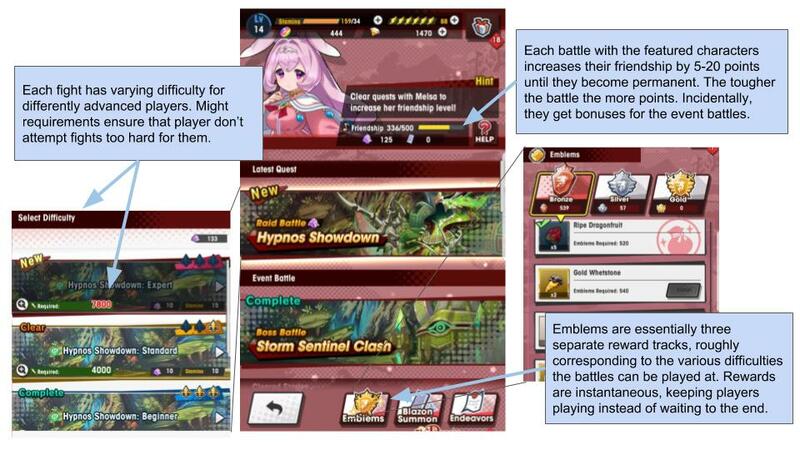 Is Dragalia Lost proof that Nintendo can achieve continuous success on mobile, or another missed opportunity? Both Pokemon Go and Fire Emblem Heroes (read: How Fire Emblem Heroes Made $100M from 10M Installs) are seen as something of a surprise hit, vastly outperforming expectations. 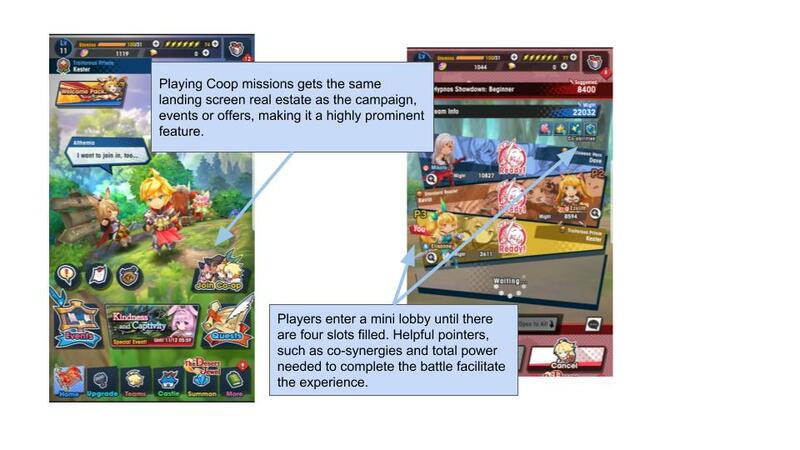 Dragalia Lost, in turn, is a much more predictable marriage, with free to play ancient Cygames (of Rage of Bahamut fame) adding tried and proven monetization design and expert systems knowledge to Nintendo’s famous world building and quality standards. Accounting for install volume, Dragalia Lost has been roughly in line with Fire Emblem Heroes in terms of revenue per install -- so far. So the real question are -- can Nintendo effectively grow this game to the same size as Fire Emblem Heroes? Can Nintendo repeat the success of Fire Emblem with a brand new IP? Additionally, each adventurer has a “mana circle” which is essentially a character's skill tree. It unlocks stat bonuses and skills, and it, too can be “unbound” using special materials only found on certain recurring weekday events. The amount of mana circles (and hence power options) depends on rarity, and lower rarity characters need significant amounts of investment to break their limits to unlock them. Being able to craft these high level weapon in the first place is dependent on the Smithy building in the Halidom. As a further connection between Halidom and the weapons system, after a substantial amount of time in the campaign, Dojos can be built to give buffs to your various weapons. Duplicates can be fed as XP boosters to their own kind, with the exception of characters, who are substituted by a currency called Eldwater, which is used to promote lower characters to a higher rarity and unlock high level skill boosts in mana circles. What is important to note is that at of yet, there’s no endless sink for Eldwater, meaning that at some point the currency becomes useless to high spenders - I will talk about this again in the live service segment. 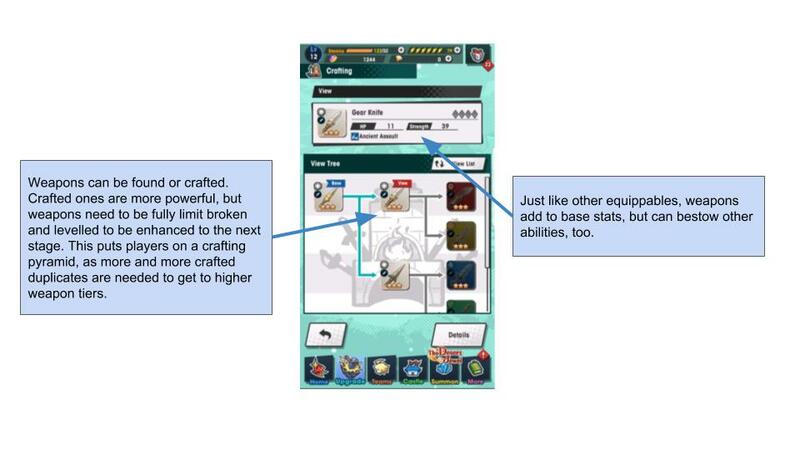 A crafty way to turn more players into payers is the structure of the gacha summons: a single summon is 150 Wyrmite or Diamantium, the ten-fold summon at 1500 Wyrmite/Diamantium guarantees a 4 star item. The daily single summon, however, only costs 30 diamantium, meaning that the paid-for premium currency is vastly superior when used in daily trickles, keeping spenders playing! Since players are in constant need of a variety of currencies and crafting materials, they get a free spin at the item gacha, which returns a small amount of them. Conveniently living in the shop, this daily habit makes sure players are exposed to any special deals they might want to make use of - or to buy the missing ingredients they hope the item gacha would return. Traditionally, most of these ultra generous reward streams will bleed dry as the players venture deeper into the game, and Dragalia Lost is no different - many of these rewards are for first time completion only. Add to that the fact that each gacha is diminishing returns as your power demands grow in the game, needing more and more more Wyrmite to make a power difference, and it becomes clear that this generosity is deceiving. 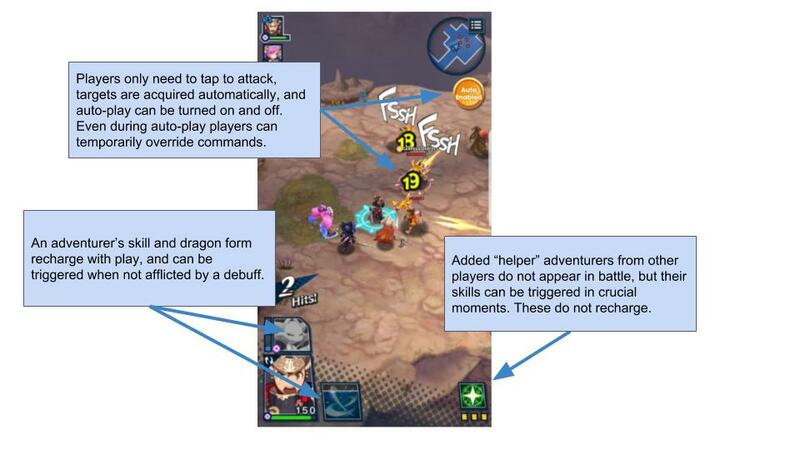 Dragalia is probably one of the most polished mobile titles I have ever seen. Everything oozes the quality and finesse you expect from a Nintendo game: from the fully voice-overed cast to the gorgeous card illustrations and expert J-Pop tunes. Dragalia Lost is a joy to behold and play. Its focus on coop play over guild and PVP systems is a bold choice, but one that will bite twice: firstly for leaving competitive player types stranded and secondly for putting the game firmly on a event-driven content treadmill. Because the game currently has no truly endless, self-content creating mode there’s a high chance it will run out of steam for high performing top spenders. After all, there’s only so many adventurers, Wyrmprints and weapons you can find and upgrade - after that, you are just waiting for the next event and the next character to collect. I believe that a clearer path to power and a monetization approach that responds to the player state, such as targeted offers, would substantially increase player investment in Western countries.